Have you ever wondered if you should start a mom blog? You’re a mom (obviously), and you want to write, earn a little income on the side, maybe be able to blog full-time, and build a community for other moms like you. Much of the time, what stops us is fear. We become afraid of failure or of putting our hearts into something and then hearing crickets. But it doesn’t have to be that way. 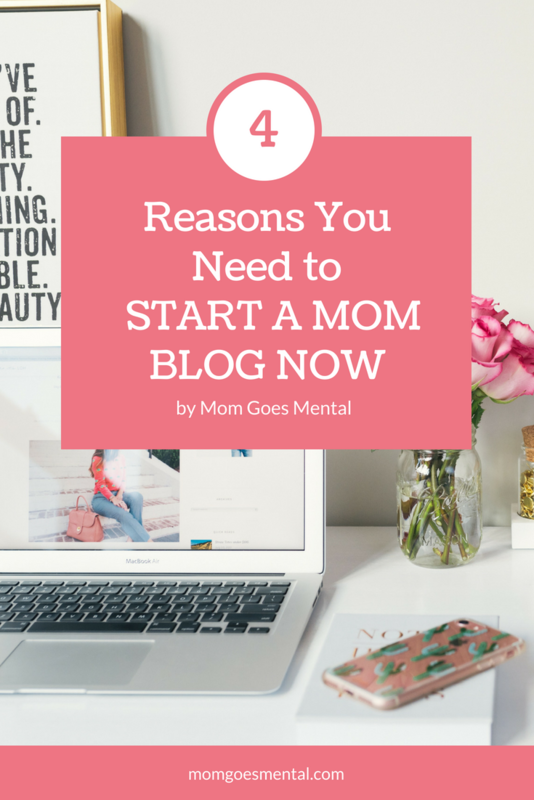 If you’ve been thinking about how you’ll start a mom blog, stop thinking and start doing. Here are 4 reasons you totally should start a mom blog today. 1. You have something valuable to share. Motherhood is hard, and a mom can read all the tips on Pinterest and still not find a solution that’s right for her family. This is where you come in. Your experience, your thoughts, and your advice is valuable. You may have a unique solution that’s perfect for a mom. Or you may have just the right words of inspiration to keep another from falling apart that day. Whatever you want to share is valuable to someone. So, share it. 2. There is room for all of us. More mom bloggers exist than can probably ever be counted, and you know what? There is room for all of us. When I’m not sharing my own blogging and online business tips, I’m blogging about motherhood. I blog about how mental illness affects my mothering, and how I get through the day. You might blog about being a disabled mother or a mom in the military. Find your niche and represent, momma! 3. Your perspective is as unique as you are. We all approach life differently, and that affects how we perceive it. I like to think of perspectives like snowflakes. They’re beautiful and intricate and infinitely complex. They are also completely unique. Your perspective is your snowflake, and it is just as unique. Where my point of view might resonate with other mothers struggling with depression or anxiety as I do, yours might resonate with other moms like you. It might even be the guiding light they need in their own storm of motherhood. 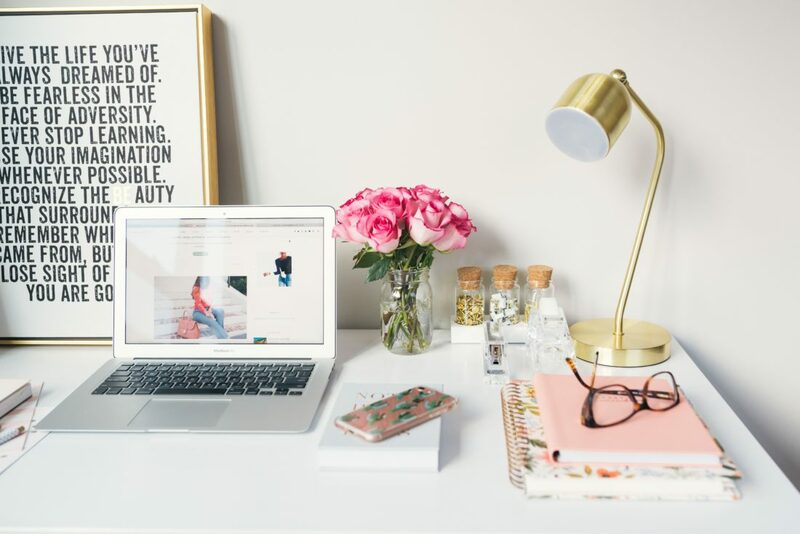 Whether you’re thinking about how to start a mom blog because you want to write, share your advice with the world, or earn an income with your blog, you deserve it. You deserve to feel that sense of achievement when you publish an extraordinary post. You deserve to feel pride in earning an income in a non-traditional industry. Creating and growing a blog comes with a unique sense of pride, and you deserve that, too. I’ve listed everything you need to start a mom blog today! In this guide, I’ve broken it all down step by step so you can get started right away. And please, please, please share your new blog with me anytime! I can’t wait to see what you put out into the world. This is so inspiring. I still have a lot to learn, and it can be intimidating. Thanks for sharing your knowledge and encouragement. You’re so welcome! It can definitely be intimidating, but everyone starts somewhere.